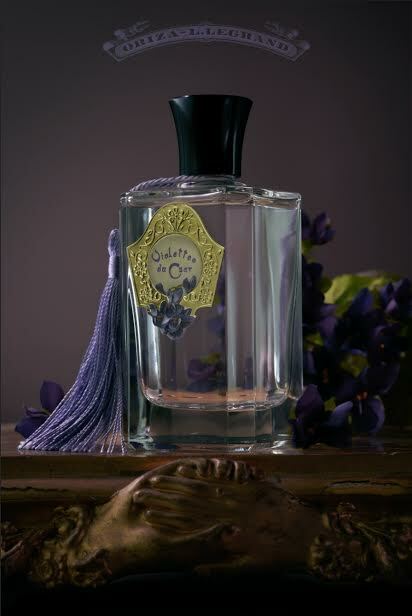 The best perfumes transport you to other worlds, filling your mind with images or memories. Vanilla Smoke, the latest release from Mandy Aftel, did precisely that for me, recalling bygone times in a way that made me smile. I once lived in places where there were four seasons, where autumn’s passage into winter was marked by piles of red-gold leaves, and a frosty chill in the air. 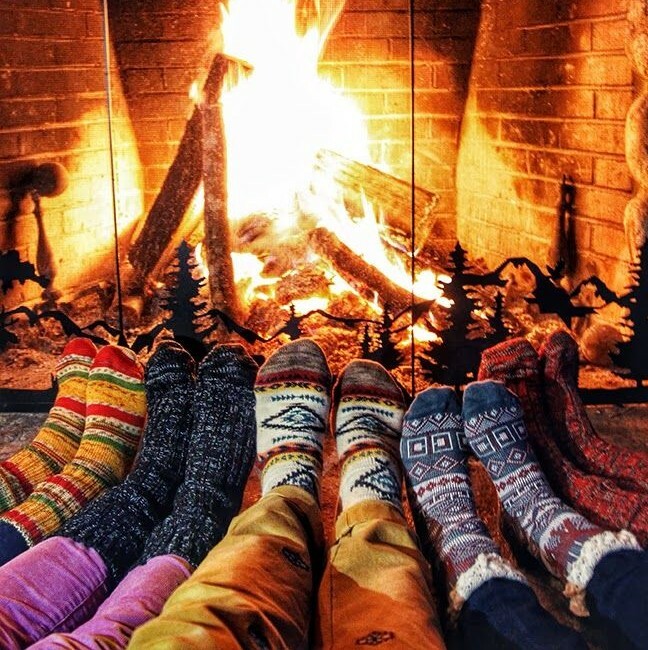 One of my favorite things was that first winter fire, building layers of logs, kindling twigs, and old newspapers in the fireplace, the aroma of burnt paper as the fire licked the outermost edges of the pile, then the scent and crackle as the red-gold-black flames crept inwards, charring the wood, and heralding a night of snuggling warmth ahead. Ms. Aftel’s Vanilla Smoke brings all of that back to me. Eschewing the typical refrains of caramelized or sugar-coated vanilla, her vanilla is built around the heart of a winter fire, with a good slug of Bourbon drizzled on top to really bring home the cozy comfort aspects. Close your eyes, and imagine a morning walk through the country on a summer’s day. 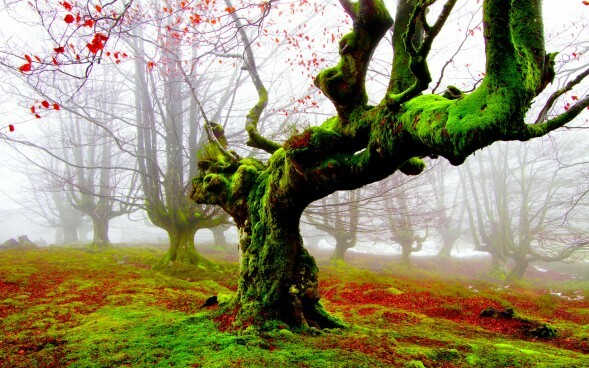 You start in a small forest glade where moss creeps up ancient trees and their gnarled roots. Leaves lie damp under your footsteps, crushed into earth that is dark, loamy, and a little sweet. Tender green shoots and fresh herbs climb out of the ground, peeking their heads around the moss, joining the forest’s morning song. The sun glints through the trees, seemingly half awake and still a little pale, but it quickly shakes itself to shine brighter and warmer, moving rapidly over the turquoise sky. Your walk quickly takes you to a meadow on the other side where clover and soft grasses form a soft, downy blanket covering the lands. You find yourself a tree at the edges, near an adjoining field of hay and a farmer’s small herb patch filled with sage and thyme. 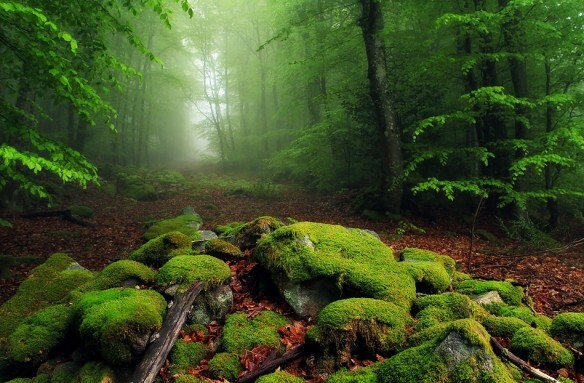 You place a blanket and pillow on its mossy roots, lie back, and let the country’s summer pageant engulf you. 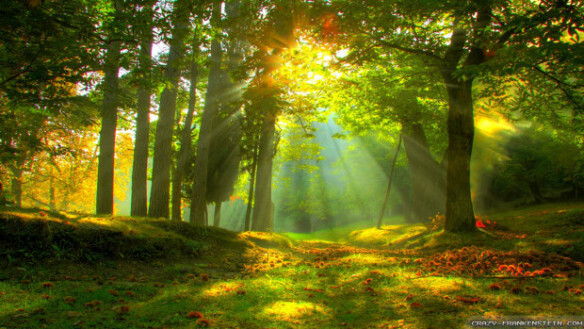 The sun has woken fully now, shining warm and bright, enveloping you in its soft embrace. It’s a reverie of greenness that feels infinitely warm and happy without ever losing its innate, ineffable sense of elegance. 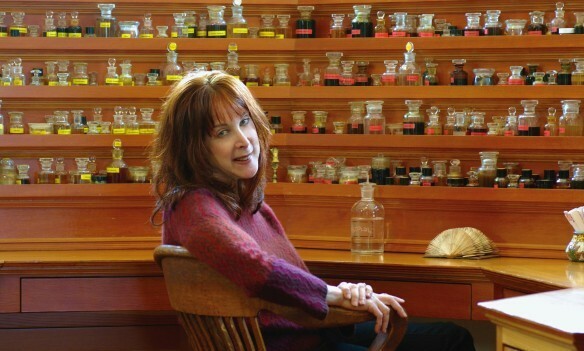 We all start somewhere when it comes to perfume, even masters of the craft like Mandy Aftel of Aftelier Perfumes who has been making fragrances for more than 20 years and is the indisputable doyenne of American natural perfumery. She, too, began somewhere, and she graciously took time out of her busy schedule to talk about her journey, as well as how she learnt about the building blocks of perfume-creation, her methodology, her favorite materials, her books, the world of food, and more. I’m extremely grateful for the glimpse into her world, and cannot thank her enough for patiently answering some very long questions. I hope you enjoy her answers as much as I did. 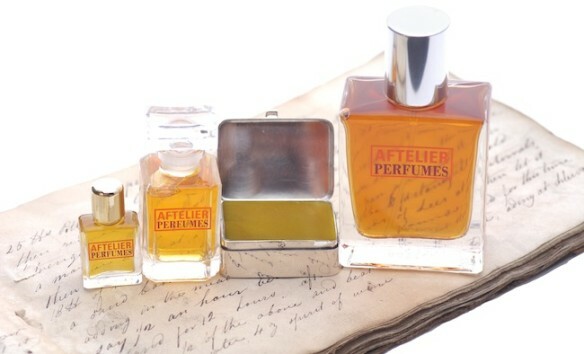 I’m very interested in people’s perfume journeys, particularly what it was like for a perfumer when they first started, especially someone with such vast knowledge as yourself. You were originally a therapist with degrees from the University of Michigan in Psychology and English. A 2005 profile article on you in SF Gate says that your practice “specialized in helping musicians, writers and artists realize their creative potential.” You even wrote a book in 1982 on one of the Rolling Stones entitled, “Death of a Rolling Stone: The Brian Jones Story.” Then, in the early 1990s, you started making fragrances. Was there anything beyond a general interest in scent and aromas that triggered the leap from being a therapist and published author to creating perfumes?